Fr. Anthony Ignatius Cataudo, O.P. 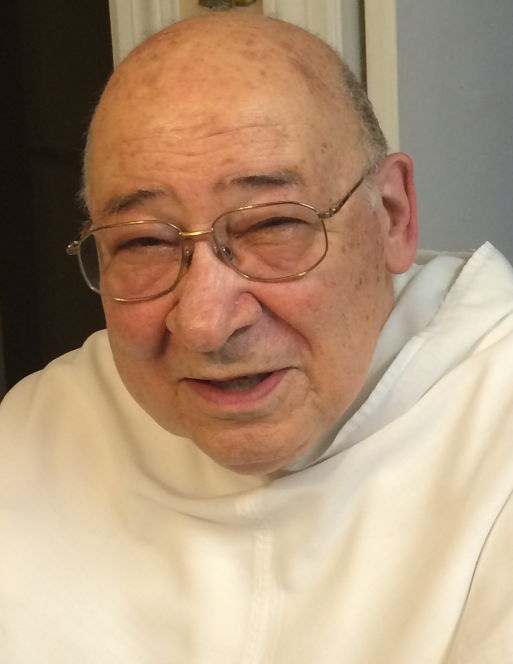 Father Anthony Ignatius Cataudo, O.P., died in the afternoon of November 17, 2018, at the Shore Medical Center in Somers Point, NJ, at the age of 86. Fr. Cataudo served as a priest for nearly sixty years. He served as pastor and prior at Sacred Heart in Jersey City, St. Louis Bertrand Priory in Louisville, and Holy Name Priory in Philadelphia. He also served the nuns Monastery of the Perpetual Rosary in Camden, NJ, and the surrounding community for many years. Father Cataudo was born on December 5, 1931, in Mt. Ephraim, NJ, to Raphael and Anna Rita (née Campellone) Cataudo, and named Anthony Raphael. He attended St. Joan of Arc School Grammar School in Camden, NJ, and St. Joseph College Preparatory School in Philadelphia, PA. He attending Providence College in Providence, RI from 1949-1953 graduating with a concentration in Sociology. He entered the Dominican Novitiate in 1953, at St. Stephen Priory in Dover, MA, and received the religious name Ignatius. He made his first profession at St. Stephen Priory on August 16, 1954, and his solemn profession at Precious Blood Church in Monmouth Beach, NJ on August 16, 1957. He studied philosophy at St. Rose Priory in Springfield, KY, and at St. Joseph Priory in Somerset, OH. He studied theology at the Pontifical Faculty of the Immaculate Conception in Washington, DC. On June 6, 1960, he was ordained a priest at St. Dominic Church in Washington, DC, by Most Reverend Egidio Vagnozzi, Apostolic Delegate to the United States. In 1961, Fr. Cataudo was assigned to Sacred Heart in Jersey City, where he would serve for the next fifteen years. He served as a prior and served in the parish there. In 1978, he went to St. Louis Bertrand Priory in Louisville, KY, and served as prior and pastor. In 1985, he was assigned to Holy Name Priory in Philadelphia, PA. In 1987, he was elected Prior of Holy Name Priory. In 1994, Fr. Cataudo was assigned to St. Vincent Ferrer Priory in New York City. Later that same year, he was assigned back to Holy Name Priory with residence at the Monastery of the Perpetual Rosary in Camden, NJ, while engaged in preaching ministry in the local area. When Holy Name Priory was closed in 1998, he was reassigned to Sacred Heart Priory but remained in residence at the Monastery. In 2001, he was appointed chaplain to the Monastery of the Perpetual Rosary. When Sacred Heart Priory was closed in 2005, he was assigned to St. Catherine of Siena Priory, but remained in residence at the Monastery and continued to serve as chaplain. In 2013, when the Monastery of the Perpetual Rosary in Camden closed, Fr. Cataudo moved to St. Peter Church in Merchantville, NJ. In 2016, he moved to St. Gianna Beretta Molla Parish in Northfield, NJ. Fr. Cataudo’s body will be received at St. Gianna Beretta Molla Church in Northfield, NJ, on Friday November 23, 2018 at 7:00 p.m. Viewing until 9pm Friday.. Fr. Anthony Manupella Pastor, will be the principal celebrant at the Mass of Christian Burial to be celebrated at 10:30 am Saturday Viewing Saturday from 9am to 10am. at the Church.. Interment will follow at Dominican Friars Section of St. Gabriel Cemetery in Marlboro, NJ.